Photo: Richard Lane..Castres v London Wasps. Heineken Cup. 20/01/2007. 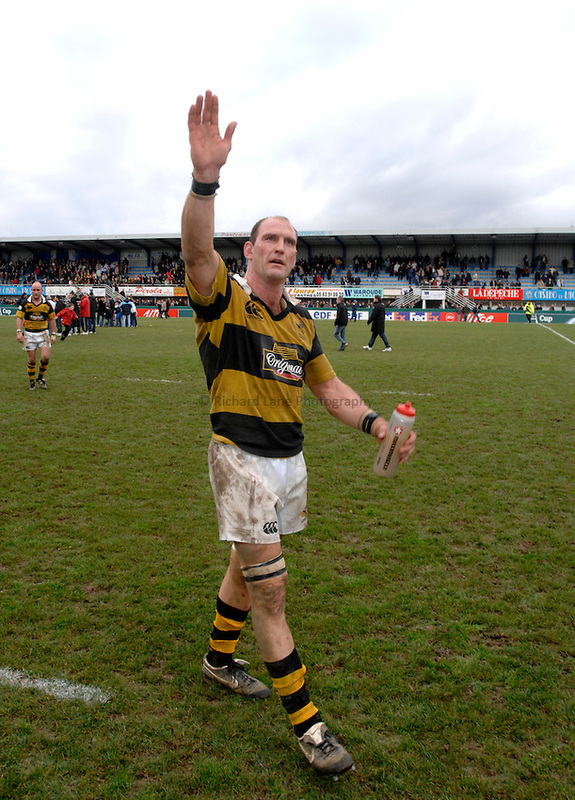 .Wasps' Lawrence Dallaglio thanks the travelling fans for their support.